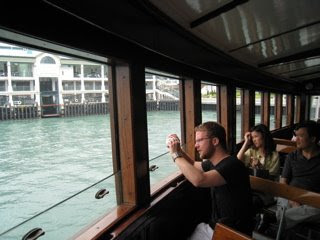 Beautiful Hong Kong harbor from the famous Star Ferry going from Kowloon (where our hotel is) to Hong Kong. 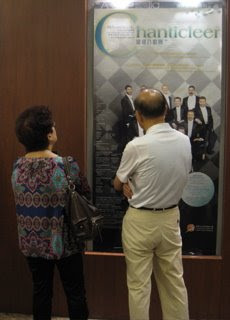 We've loved it here - we wouldn't mind coming back and many of our audience members said they'd like that too! 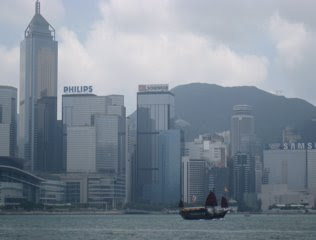 We made the best of our short time here today - taking the Star Ferry, going up Victoria Peak, eating local delicacies, generally soaking up local color, and picking up our new suits. 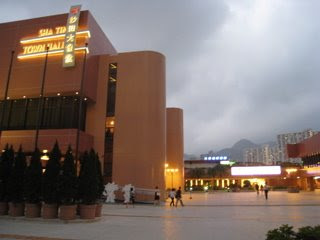 The Sha Tin Town Hall's Auditorium was the site of our Hong Kong concert. 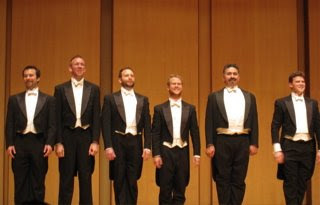 We enjoy the standing ovation at the end of the concert. 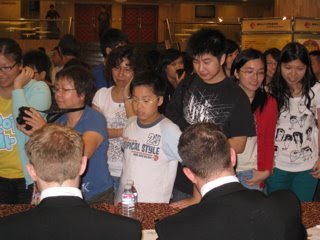 Lovely hall, great audience! 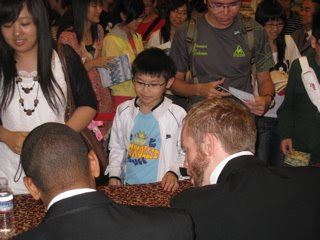 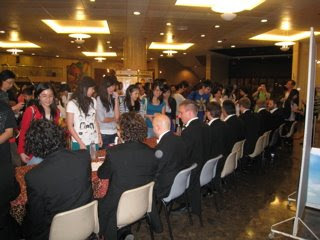 Warner Classics had organized CD sales - the autograph table attracted quite a crowd, including some of the singers we had seen in the workshop last night, lots of young people, and some very cute kids.